The Atidim Park is considered one of Israel's most luxurious high-tech and Business Park. The Park is located at Tel Aviv, and houses the offices of numerous high-tech, media, financial and medical companies, which are among the pillars of Israel's economy. ** You can submit nomination forms waiting list. Tel Aviv-Jaffa is the StartUp City of the StartUp Nation – and for a good reason. The nonstop city is also the youth capital of Israel, attracting creative and innovative young people who come to create, influence and realize. 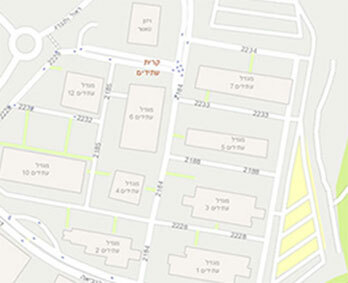 Atidim 7 is a new hub for technological projects, established by Atidim. Atidim 7 joins the "Library", "Maze 9" and other Tel Aviv establishments that strive to address the needs of young entrepreneurs. We encourage you to apply and join us.